Jersey 1947: Raymond Mays in the E.R.A. 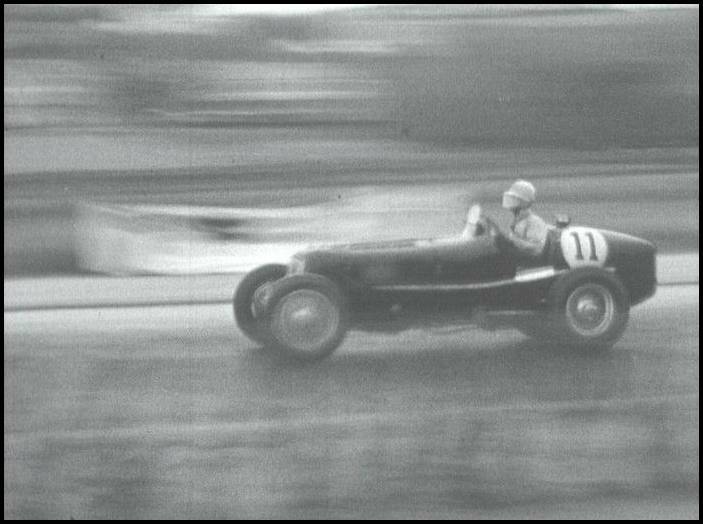 JUST a quick note to let you all know that there’s an interesting feature now up about Gary Critcher, a motor racing fan who has located hours’ worth of footage documenting the sport’s past glories: A Driving Passion: ‘Reclaiming’ Missing Motor Sports Footage. The image to the right is a still from a film recovered by Gary capturing the Jersey International Road Race from 1947, significant in itself as the first post-war British race. Gary has released some of his footage on specially-made DVDs, available from his website www.yesterdaysracers.com. A NEW BBC production based on a ‘lost’ Kenneth Williams radio script gets its first broadcast this September. Twice Ken Is Plenty was written in 1966 by Kenneth Horne and his ghost writer, Mollie Millest, and was intended to be performed by Horne and Williams (who starred together in hugely popular radio comedies Beyond Our Ken and Round The Horne). Kenneth Williams and Kenneth Horne. The script, however, was never produced and was forgotten about until it was rediscovered by writer and broadcaster Wes Butters, who bought it as part of a collection of Williams memorabilia being sold on eBay by the late star’s godson, Robert Chiddell. It stars Round The Horne… Revisited soundalikes Robin Sebastian and Jonathan Rigby, reprising their respective roles as Williams and Horne, and Charles Armstrong as the Announcer. Twice Ken Is Plenty will be broadcast on BBC Radio 4 on Tueday, September 1st, at 11.30am. For more information visit the BBC site here or The British Comedy Guide, here. A new fan-based website dedicated to 1970s BBC TV series Doomwatch is appealing for anyone with missing material to get in touch. A website's Quist: Doomwatch fan Scott Burditt is searching for missing episodes. Scott Burditt of www.doomwatch.org hopes to track down more episodes, or soundtracks to episodes, of the highly-regarded science-fiction show, which ran for three seasons from 1970 – 2. Presently, only season two resides complete in the BBC archives. Five episodes from season one are missing along with nine from season three. One of the biggest losses is season one’s thrilling finale “Survival Code” (tx 11/05/70), which is still remembered today for its shocking ending where main character Toby Wren (played by Robert Powell) was killed. Scott is also looking for help with reviews, story submissions and memories from those who watched the series at the time, and those who produced it. Scott has written a detailed feature on Doomwatch and the missing episodes for Wiped, which you can find here. SKETCHES from acclaimed writer Alan Bennett’s first and only full-blown comedy series are to be released in October by BBC Audiobooks. Six-part show On The Margin, which aired from September 9th to December 14th, 1966, featured satirical, political and musical sketches written and performed by Bennett, who had risen to fame as part of the legendary Beyond The Fringe revue show, which also featured luminaries Peter Cook, Dudley Moore and Jonathan Miller. Bennett was joined by a regular cast including John Sergeant, later to become the BBC’s chief political correspondent, and Virginia Stride, best-remembered as the seductive Liz Champion in BBC weekly drama series Champion House (1967 – 8). The series also featured Yvonne Gillan, Madge Hindle and Roland MacLeod. Despite proving a popular and critical hit and getting two repeats in 1967, the second seeing the show move from BBC2 to BBC1, On The Margin is now known mainly as one of the high-profile losses of the BBC’s wiping policy. Only one filmed insert remains to represent the series visually. However, a number of audio excerpts are also known to exist and these have been compiled by BBC Audiobooks for an exciting new CD scheduled for release in October. 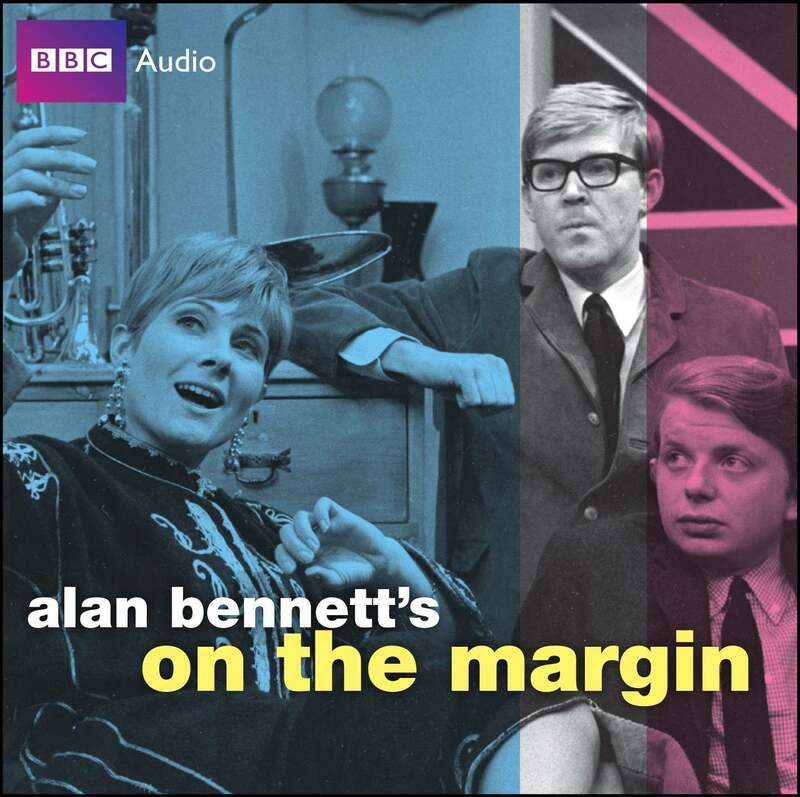 Alan Bennett’s On The Margin is currently available for pre-order on Play.com, priced £5.99. TWO long-lost episodes of Johnny Speight’s classic BBC sitcom Till Death Us Do Part have been recovered with the help of classic TV organisation Kaleidoscope. The show, transmitted between 1965 and 1975, was one of the most important in television history. Conceived as a rival to Coronation Street, Till Death Us Do Part introduced the world to the monstrous, bigoted, right wing Alf Garnett, played brilliantly by Warren Mitchell; his vegetating wife Else (Dandy Nichols); the equally obnoxious left wing son-in-law Mike (Anthony Booth, Tony Blair’s father-in-law); and the giggly, charming daughter Rita (played by Una Stubbs). Despite endless controversy, most famously involving Mrs Mary Whitehouse, Till Death was consistently top of the viewing figures during its ten year run. Sadly, the majority of the show’s 26 episodes from the first three series, broadcast in black and white between 1965-68, no longer exist. They were junked following transmission because storage costs of videotape were prohibitive. The recovery of two intact episodes, both from the second season of the show screened in early 1967, is therefore an extremely exciting event. “In Sickness and In Health”, first shown on February 13th, 1967, features Alf, the worlds worst patient, undergoing treatment on the NHS. Highlights include Alf cleaning his pipe with a scalpel and a hypodermic needle, a classic kiss between Alf and Else, and a hilarious hospital visit by Alf’s family. Guests stars include sitcom stalwarts Graham Stark, Anthony Sharp, Tommy Godfrey, and Mark Eden, most famous for his role in Coronation Street as the murderous Alan Bradley. “State Visit”, transmitted the following week, was inspired by a front page of The Daily Mirror (Alf’s “bloody Labour rag”), which was covering the state visit of the Soviet premier to London. Alf rails at the deviousness of politicians, from his bête noire Harold Wilson to Peter Mandelson’s grandfather Herbert Morrison, and from cheating chancellors to false expense claims in a period of nationwide recession. Just to make it even more eerily topical, the Deputy Prime Minister that most arouses Alf’s wrath is another Mr Brown – George Brown. The episodes came to light after former BBC film editor Graham Walker got in touch with Kaleidoscope via its website http://www.lostshows.com. Discovering the shows to be missing, he offered the not-for-profit TV heritage organisation his 16mm film prints. These included a third Till Death episode, “Peace and Goodwill”, that already existed in the BBC archives, albeit in an edited form. There are hopes that the excised footage found in Mr Walker’s copy can be restored to the original BBC print. “This is an astonishing find of major importance to British television history, one which we will all maybe (to use Alf Garnett’s charming phrase) “bloody learn somefink”. Film collector Graham Walker, who has enjoyed watching the episodes over the years with his family, said: “These early episodes are just wonderful. Not only do they boast superb performances from all the main characters, but also the mixture of hilarious humour and pathos has never been bettered in British TV. All the episodes have now been returned by Kaleidoscope to the BBC for restoration and transfer to high-quality digibeta video. One edition will be screened at Kaleidoscope’s forthcoming career retrospective and tribute to comedian’s comedian Bob Monkhouse – “Bob’s Full House” – which is to be held at the prestigious BAFTA (British Academy of Film and Television Arts) headquarters, Piccadilly, on Saturday, October 24th. Kaleidoscope’s Chris Perry said: “This is a find of enormous cultural significance. We are very grateful to Graham Walker for letting Kaleidoscope screen this episode at our forthcoming ‘Bob’s Full House’ event and return them all to the BBC for future generations to enjoy”. Click here for a Q and A with Graham Walker about the previously missing episodes. 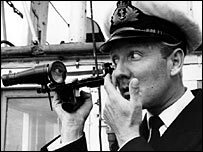 An early episode of classic BBC radio comedy The Navy Lark has been discovered along with better copies of a number of other episodes. The long-running show, about the exploits of the hopeless crew of HMS Troutbridge, ran to over 200 episodes between 1959 and 1977. Well-remembered for its catch-phrases and innuendo, The Navy Lark featured the likes of Leslie Phillips, Jon Pertwee, Ronnie Barker, and Stephen Murray among its crew. Oh lumme! A previously missing episode of radio sit-com The Navy Lark has surfaced. According to The Navy Lark Appreciation Society, 40 episodes are officially missing from the archives, either completely or in broadcast quality, but that number is now set to be reduced following the discovery of a number of early shows recorded off-air on reel-to-reel. “Arrangements were quickly made for the tapes to be sent to our tape engineer and restorer, who spent a profitable weekend working on the four reels and the results were quite amazing. Not only is there a previously lost show, Series 3, Episode 20, but many of the other shows are improvements on those recordings that are known to exist and have been issued on CD. Series 3/ episode 7 – BBC CD perfect, so no improvement. 3/17 – BBC CD was the archive copy, so no improvement. 3/19 – Slightly better than CD, but hardly any difference. 3/20 – This was missing from the CDs, so a genuine find. 4/23 – Both copies off air, and about the same really, prefer the new one though. The previously missing episode – “The Surprise Wedding” (tx 15/03/60) – means that all episodes of series three are now accounted for in one form or other. All the episodes found on the reels have been offered to the BBC. If you have any recordings of The Navy Lark APART from mp3 files downloaded off the Internet, the The Navy Lark Appreciation Society would like to hear from you. You can get in touch via its website.